From Granite to Marble to Quarts - we'll help transform your kitchen. At Boulder Granite, we specialize in fabrication and installation of all types of natural stone materials, such as; Granite, Marble, and Travertine. 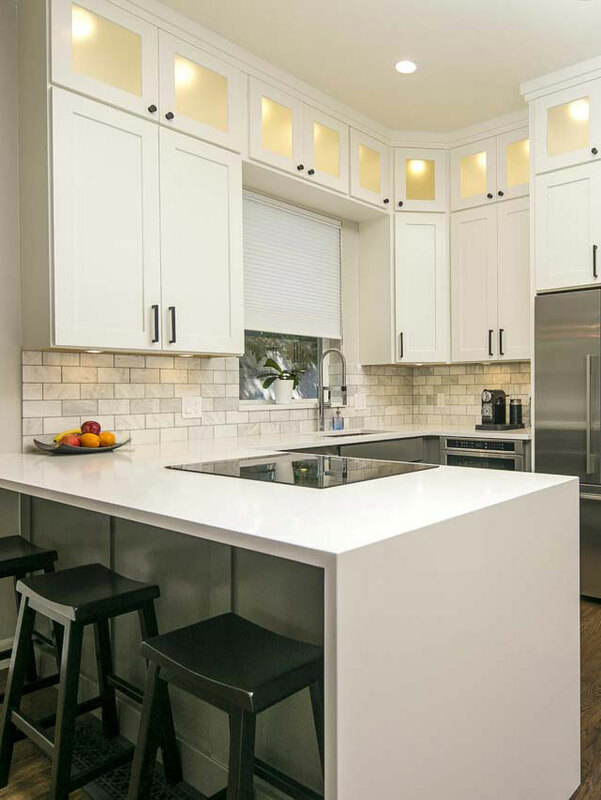 We also work with wide selection of Quartz slabs, like Caesarstone, Cambria, Hanstone. All of our work includes custom cutting to size for your kitchen, vanity, laundry rooms, fireplaces, bath surrounding, walls, indoors and out, and more. We work with all surface finishes such as leathered and honed, as well as numerous edge styles. For a small countertop, we have a variety of granite, marble, quartz and other natural stone remnant pieces available for you to choose from. Let's get started on the kitchen of your dreams! Click on the Inventory link to see our current inventory.